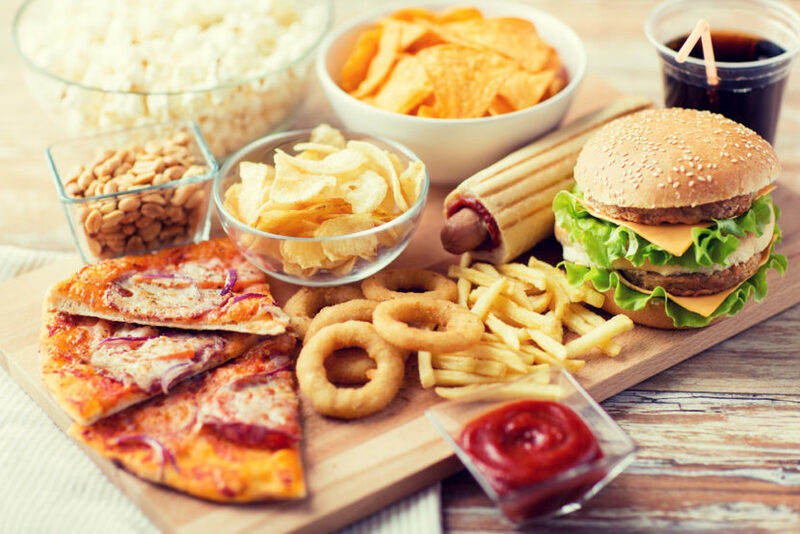 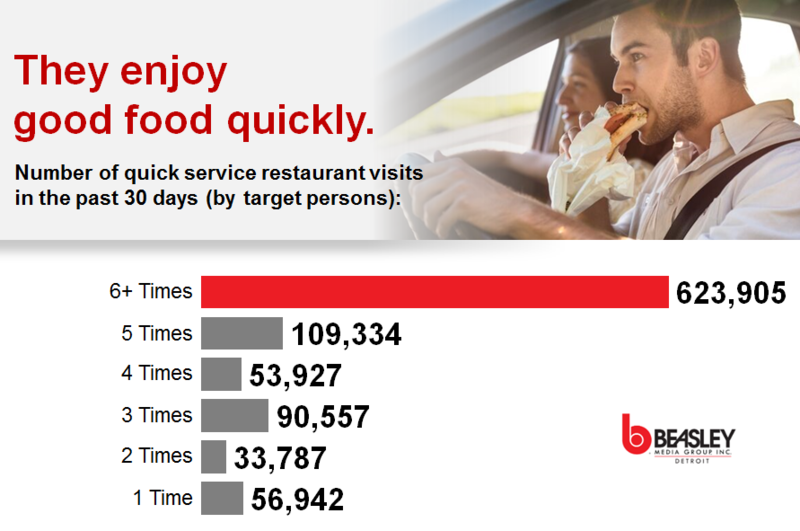 $2M in daily spending power at quick service restaurants! 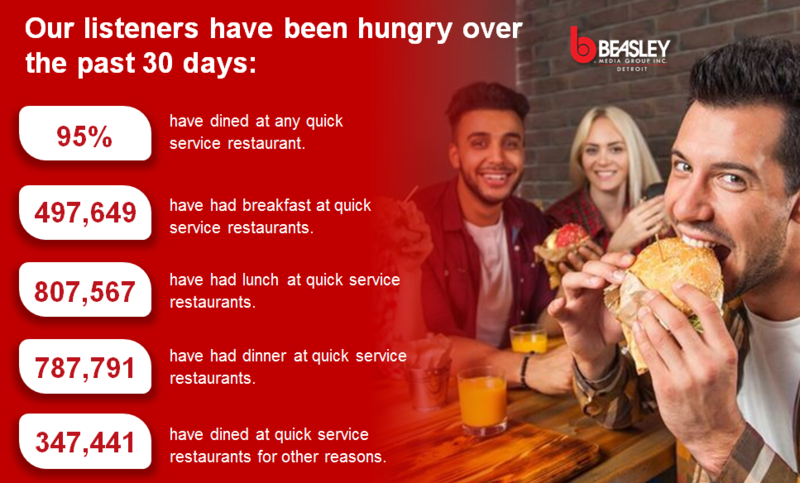 Recently released 2018 research from Scarborough shows 95% of listeners to WRIF, WCSX, and 105.1 the Bounce have eaten at a quick serve restaurant in metro Detroit in the last 30 days. 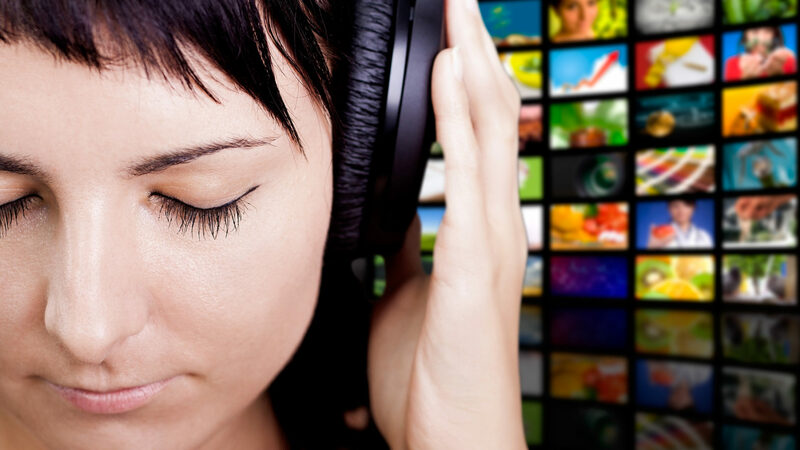 Additionally, over 623,000 listeners have been to QSRs over 6 times in the last month!